Giftwrapped - New Book Launch! Sorry I haven't been blogging much lately, so much has happened here at Razzle Dazzle Rose! We have been really busy selling our gorgeous wedding stationery and gifts, and preparing for Christmas. Apologies to you all for not adding any tutorials for a while; there are plenty of amazing goodies to share with you over the next couple of weeks. The exciting news is finally out! Back in June I was asked to provide Jane Means with some of our pastel doilies for a book that Jane was creating. Well, the book is now available! Our doilies have been used in several of Jane's projects in the book and look absolutely fantastic. 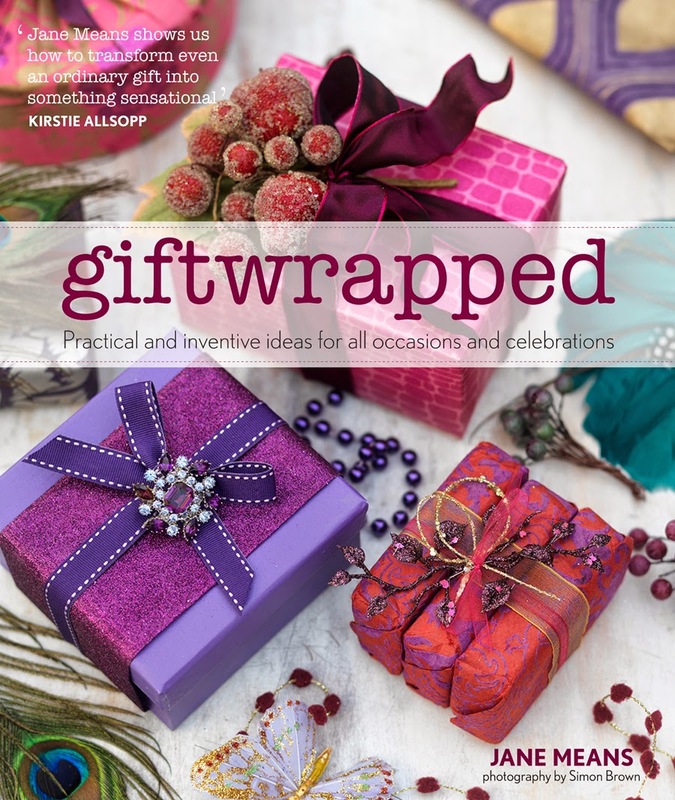 The giftwrapped book is full of inspirational projects and ideas, of how to wrap the perfect present. A perfect Christmas gift for fellow crafters! All projects are shown with clear and easy-to-follow step-by-step instructions. Giftwrapped delivers inventive ideas and designs along with the all-important know-how, so that you can create your own magical parcels whatever the occasion or celebration whether Christmas, birthday or wedding favour. Do you want a signed copy? Then grab one quick, the books can be purchased on Jane's website at: www.janemeans.com.